Hello Friends!! How is your Saturday looking like? Today I have something absolutely exciting for you all! Something that will make your eyes sparkle, and will take you few years back, wishing you could relive your childhood again! Sleepee Teepee is a new concept that two fabulous women came up with few months ago, and it is the talk of town right now! It always makes me so proud to see women, and especially moms navigating through their own journeys, not the motherhood one, but one where they blossom and thrive as women. 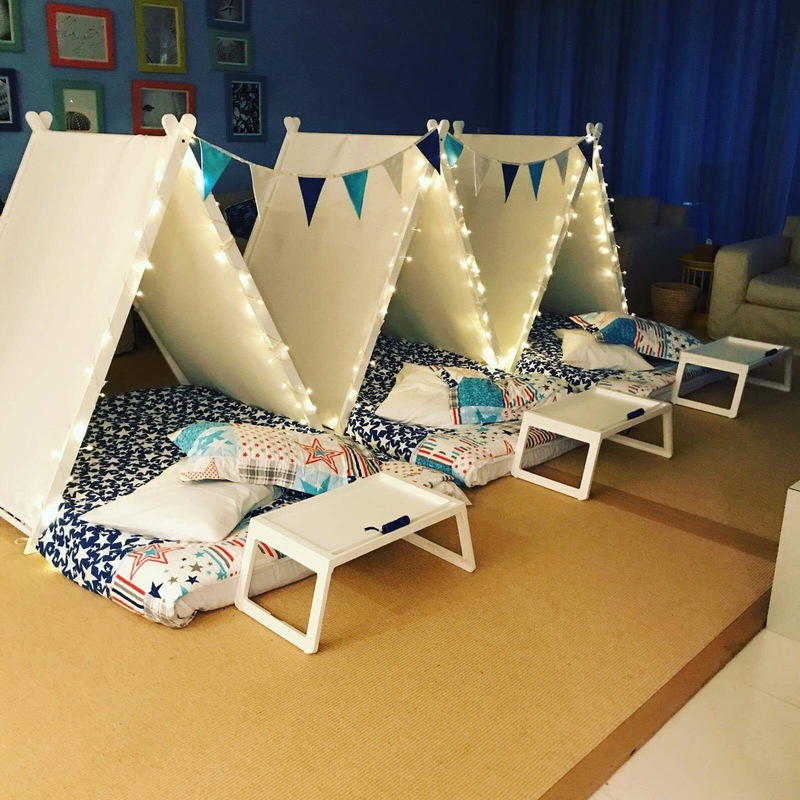 The whole concept consists of having gorgeous looking teepees, with themes that you can choose yourself, delivered to your home, fixed and ready to take the sleep over shenanigans to a whole new level. How did you get the idea for sleepee teepee ? Sleepee teepee was something I was seeing on Pinterest throughout the summer, while in Australia. 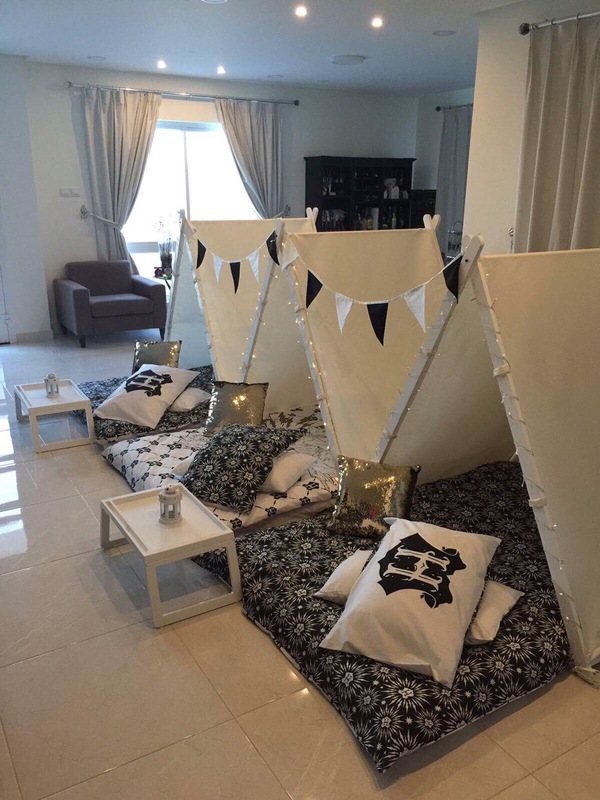 With girls coming up to the the sleepover stage in life, I thought it would be great to offer them something they will enjoy with their friends in Bahrain. How did you move from the thinking phase to the creating one? After speaking to some friends about the idea I found that there was a lot of support. I decided to join forces with a good friend of mine “Nikki”. We designed a prototype and our children lit up when they saw it! Seeing their excitement made us realize we needed to have other children experience this too. We spoke a lot about our concept and how we could make this product and service something Bahrain would embrace. Our teepees have been designed to be sturdy, child safe and of the highest quality. We had our first booking in the beginning of October this year. The business is still very young. How do you balance being a full time mama and being a working mama now? The idea that I’m working on something of our own really excited me. With young girls I am happy that they finally get to see mom work and do something she loves. Our busy periods are over the weekends so Nikki and I try to do as much as we can while our children are at school so they don’t have too much time away from us on the weekends. The work family balance has been nice as we have a lot of support from friends and partners. What are some of the difficulties that faced you when you started? Creatively we wanted to create a teepee that was child safe and sturdy, design wise we changed a lot of things to make the teepee transportable, functional, beautiful and easy to store. We found the themes we wanted were hard to come by locally and started bringing in bedding from outside Bahrain. How do you see your business in 5 years from now? Nikki and I are a great team, and I think Bahrain has embraced Sleepee Teepee. We hope to be able to create a product that adapts to the times. We would love to expand the business into more than just hiring and selling teepee services but to include the options of party planning and party bags. We also would like to refine the business to include more sustainable and organic options and use only locally sourced items, carpenters, tailors and staffing. Any advice you can give mamas/women, who have great ideas yet haven’t worked on making them their realities like you did, yet? Elizabeth is a mama of two gorgeous little girls, she is so passionate about what she does, and the minute she starts talking about her new baby (Sleepee Teepee) a big smile lights up her face, and her eyes shine with delight. 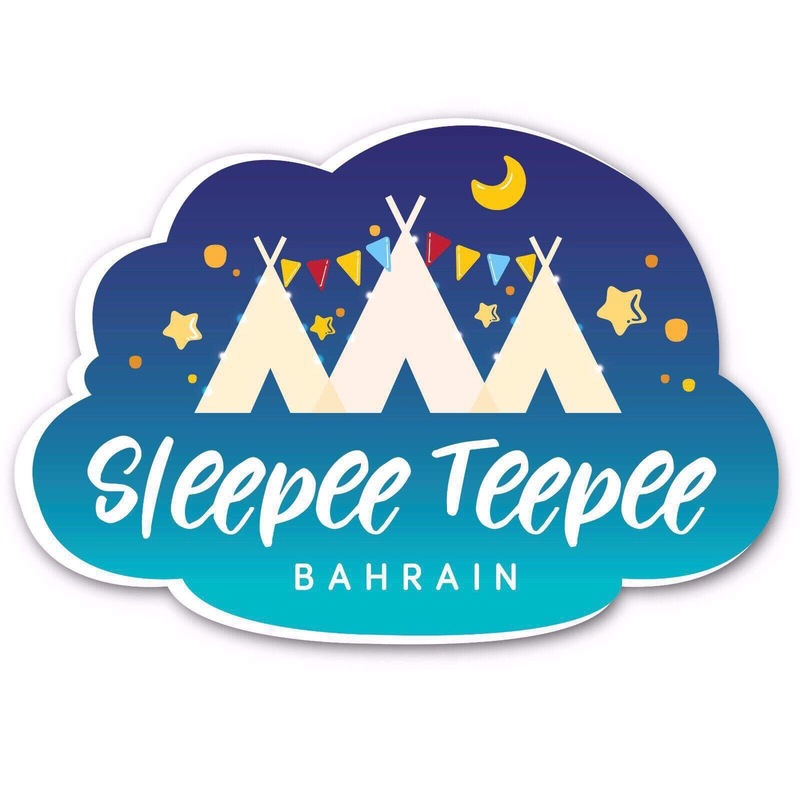 More exciting news here ladies: Sleepee Teepee offers 10% discount to all Amwaj mamas!!!! Bahrain Through The Eyes of a Mama! I have been meaning to write this post for the last two years but I guess as they say “when the time is right” …!! So as everyone know I am a mom who lives in Bahrain. Some might not know that I also run the group “Amwaj Mamas”. A group of moms and for moms, where I organize fun, educational, and enjoyable meet-ups for moms and their toddlers. I started it about 3 years ago, shortly after Adam was born, with the help of my amazing friend Maria, whom I love dearly. Through this group, Adam and I have explored this beautiful island we live in, and enjoyed some of the most wonderful places that we didn’t even know they existed before! So today I decided to write a whole post and share the love! I must add that none of the venues I am talking about today have paid me or asked me for my review, this is simply my experience and I would like to share it. Salon 5 Amwaj: While I realize this isn’t a place for children, I am absolutely sure every mama deserves some pampering. The staff are absolutely wonderful! 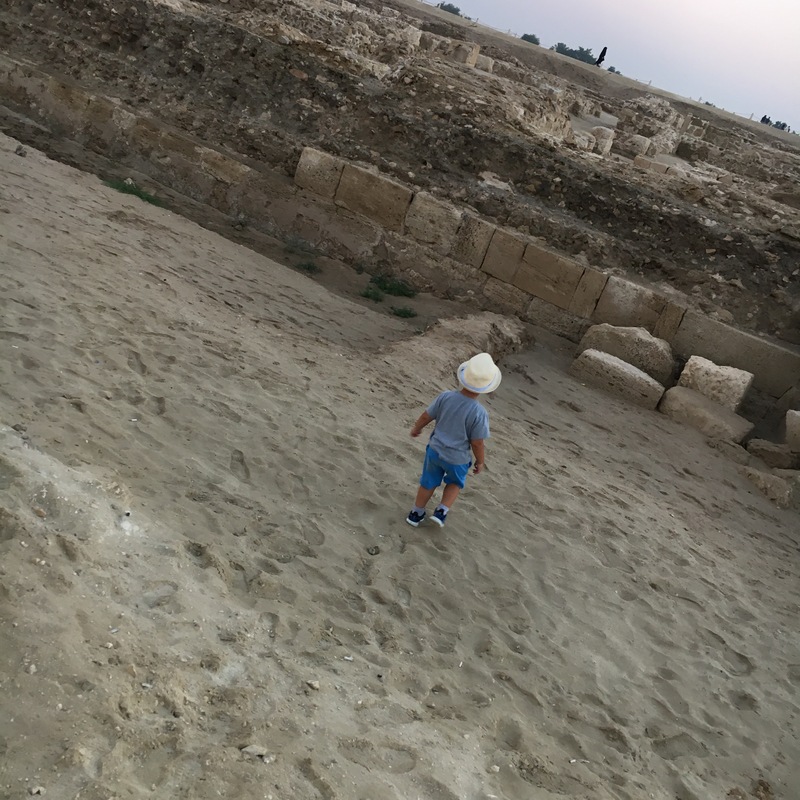 I have taken my son with me so many times, and he actually loves it there. You can’t always have the luxury of few hours by yourself when you are a mama, so in this place you can have that, while having your little one with you. Salon Five is located in Amwaj, by Costa coffee. 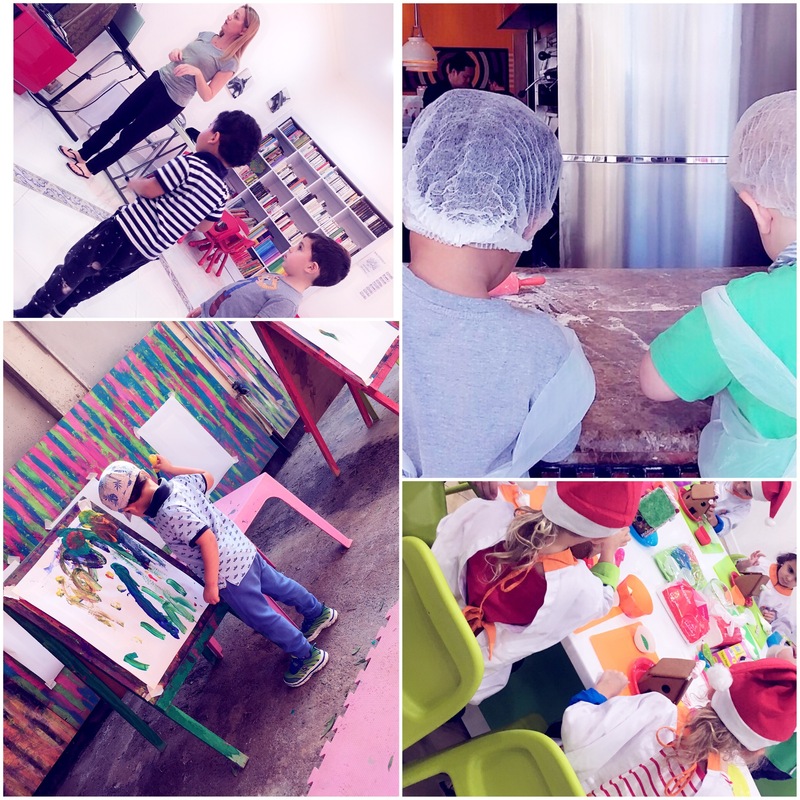 Messy Tots: A studio where the little ones can unleash their creativity and imagination. Ashley, who runs the studio (aka her house’s backyard), is very attentive and always making sure the kids and their moms are having a great time. You can Text Ashley on 32130715, or have a look at their Facebook page “Messy Tots Bahrain” . The session is 1 hour and it is 5bd. Pizza Express: This is the ultimate spot for a Friday lunch, where parents can enjoy a wonderful Italian meal and the kids can enjoy the experience of being little chefs. Kids can make their own pizzas, they also get their little juice box and a choice of ice cream or cake at the end. Pizza express is located at the Lagoon- Amwaj, next to Starbucks. Ya Salam (In Budayaa): I first heard of this restaurant because of the bad reviews it had for their food, then one of the moms suggested to meet there one day with the kids. “The play area is amazing!! !” that was her reply when I told her about the bad reviews, so of course, off we went. There is a very cool play area and moms/dads can actually sit and enjoy their meals RIGHT THERE, while the kids played. It was absolutely amazing! The first time we stayed about 5 hours because Adam was having so much fun, and of course the moms were enjoying their time too, because for the first time they were having conversations that didn’t have to end abruptly because of the kids. The food was surprisingly delicious, I always have the Falafel sandwich and it’s the best I have ever had. Birds Kingdom: I am a huge fan of this place! First of all because it is in Amwaj, so very close by, and we can pass by anytime. The play area is fantastic, Adam loves it, and the managers are so kind and attentive, they are also parents so they really tend to the needs of the moms, dads, and kids. It is located in Amwaj by Al Osra supermarket. Jones The Grocer: A fabulous place to enjoy breakfast, lunch, or dinner, with your little ones. The staff are absolutely amazing, so nice to the kids, and will make sure to make your dinning experience great! They have a “mommy and me Monday” where they have special offers, they will also give you a 10% discount if you mention that you are a member of “Amwaj Mamas”. Peekaboo Kids: Since I gave birth I was always in the lookout for stores with quality items for kids: Clothing, swaddles, toys…etc. Then I met the wonderful Georgia, the woman behind Peekaboo Kids, an amazing mother who totally understands the needs of moms and kids. They are located in Saar mall, and if you mention that you are a member of “Amwaj Mamas” you get 15% off your purchase. I will be making another post like this one very soon because…. well let’s face it, the amount of the awesome places with the incredibly warm and welcoming staff, can’t just fit in one post. Do you remember when you were little? Do you remember how much you knew, how much you trusted, how much you loved, how much you laughed and how much you cried? Of course you do! 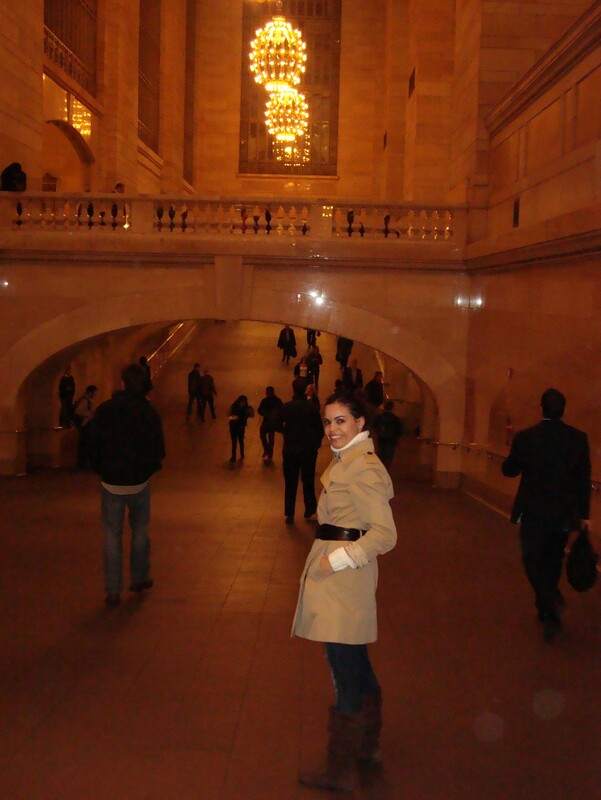 Because those were the days you were still close to the doors of knowing… The doors of miracles and mystery. Everyone says children are born like white papers, and it is our duty as parents to fill those papers with whatever they need to grow up. We teach them to talk, read, write, and to become successful in life; But did anyone try to learn things from those little minds instead of teaching them? As a kid I believed in clouds and rainbows, I believed I was brave enough to conquer the world, to fly and to be free. I also seriously believed that I had a hidden talent in understanding animal’s language.. Yes I did. I stayed hours with cats having conversations about life and death. I believed there was always a secrete door, I just needed to look for it harder, I believed I was strong enough to face the world. Suddenly all this believing stopped .. and I grew up! I learned to be afraid of tomorrow, and to never trust strangers, to doubt my own capabilities and skills and to stop asking questions. Yet they say growing up is the best part of life! We grow up and forget the best things we ever knew. We grow up to become boring and scared. We lose our simple selves and become a complicated work in progress. And even though we all secretly know this and long for the days we ran barefoot and laughed at silly jokes, we never really admit it. We even help our kids grow up and we take them far, far away from that door of knowing and of miracles! Why can’t we let our kids guide us, and show us the way again? Why can’t we learn from them to love and believe in each other again? Why don’t we let them teach us to laugh when we feel like it and to cry when we are sad? Why don’t we stop and look at the stars when they do? Why don’t we look at simple things and be amazed by them again? I think we will learn greatly if we did! Today is not the day! I pick up my laptop, stare at the blank page in front of me, and I see words jumping.. so many of them, I can’t really keep track! I think of the priest who was killed today by the 19 years old boy, and I don’t know whom should I feel bad for? The man who went to heaven, (regardless of who he was, he still was killed today), or the little boy who lived in hell and will remain in there for a while. I think of change and how it is always good for you. Sometime it scares you, so you try to stay away, you push, you resist, because you don’t want to try new things, you don’t want to get out of your comfort zone, and most importantly you are scared to be rejected. A friend once told me that in life you will be rejected many many times, so make them count! But being rejected is not something you want to accept easily. It is not something we want at all! Rejection and the shame and guilt that follow are unwanted friends, who when they knock on your door, you switch off the lights, and you silence your phone, and you sit in the dark waiting for them to leave, thinking that you’re not home. How do you ever make peace with this awful friendship? That painful feeling of humiliation and distress? I say get a vaccine! Yes ! you know how they do it right, they inject you with a small dose of the same pathogen you are trying to protect yourself from, they might even do it multiple times to get it right. Well I say do the same thing with your fear of rejection! Put yourself in situations where you will get rejected (gently and smoothly), few times and Voila! Will it work? did I try it before? I don’t know, I haven’t and I am just sharing few thoughts in here! I am also thinking of how the year has past and I have really managed not to buy anything I didn’t really need. OK let me explain to you; Last year I made a decision not to buy anything at all (unless I really really needed it), and this comes from an ex-shopaholic, who used to spend most – if not all- of her time checking out shops, malls, outlets, etc. So yes I did it! It has been more than a year and guess what? I feel great! I have never felt so light and so right at the same time.So while staring at the blank page in front of me, I smile, I give myself a high-five, and I promise myself to write a post about just this! I think of the little things that go by unnoticed, yet tracked down by a child, who takes time to see the unseen and read between the lines, and when I say a child, I don’t only mean kids, I also mean those very few people who kept the child within and never grew old! The shadows and how fun they really are, the bread that looks like a pillow, the bird who is king somewhere, the stones that melted and told stories! You see I live with a child, or two, if you count the one I never let go of, even though I am thirty. I think of how good change is for you… Oh wait I did think of that 2 minutes ago, so I go back to staring at the white page and I wait! I think of the mother who carried her two dead children yesterday after a car crash, and my heart sinks! I think of the morons who drive like maniacs and I get upset! I think of the souls who said goodbye to loved ones because someone was having too much fun trying to shift gears and see how far they can go! I think of this sad world and where is it taking us, but I also think of the sun and the bright moon tonight! I think of the stars and the smiles and the laughters. I think of babies cooing somewhere, and women shedding tears of joy meeting their little angel for the first time. I think of teenagers who passed their final exams and how bright their future seems to be. I think of God and how merciful he is! But mostly…I think today is not the day to blog….. Or maybe it is…What do you think?